The Module manager is just a 'door' to those modules that need extra configuration options. For example, side wide options, or special server options that exceed even 'Guru' permissions. Up to version 0.90.6, the Module Manager has no special features worth mentioning. In the Menu pane, the modules that need special options are listed. 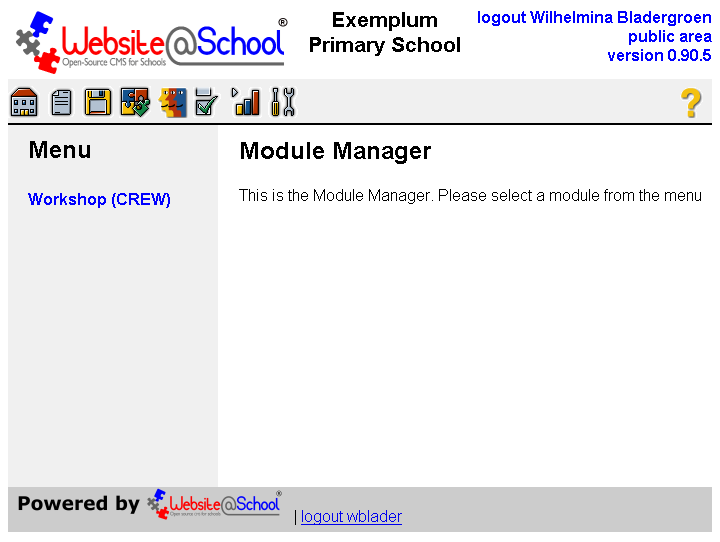 Click on a module name to access its configuration options. After clicking, the module link name is underlined.